August is Travel Beauty Month at Trip Styler. Since we already know you’re beautiful on the inside, we’re featuring posts devoted to helping you maintain and enhance your outer allure—which can *sometimes* show hints of travel’s time-zone hopping and lack of H2O. All month we’ve been doing travel beauty-themed giveaways for products that take the edge off of jet-setting. This is August's last giveaway! Don't miss out. Week of August 30th Jane Iredale Contest Details 1) One lucky winner will score: - Lip Fixation: Double-duty beauty with two products in one: lip stain and gloss in complimentary colors. - Powder-Me SPF™ Dry Sunscreen – SPF 30: Use it on the body and face for UVB/UVA SPF 30 protection. 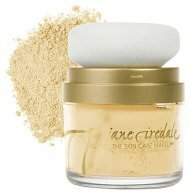 2) How to win: RT any of @TripStyler's tweets on twitter as well as this tweet: RT @TripStyler to enter to win a @janeiredale Lip Fixation and a Powder-Me SPF http://bit.ly/9smpDc #travelbeauty The more you RT, the greater your chance of winning. If you're not on Twitter, but still want a chance to win, share any of our posts on Facebook (click on the 'share' link at the bottom of our status updates) and tell us on our wall. 3) Contest begins Monday August 30th, is open to residents of Canada and the US, and closes Thursday, Sept 2nd. 4) The winner will be selected via random.org, announced and contacted following the contest's closing. Good luck! Don’t forget to tell your friends. Update: Congrats to Harmony, our lovely winner.